The 20 mil crawl space vapor barrier is one of the largest vapor barriers available for the crawl space. The 20 mil vapor barrier is often used on crawl space floors. We usually recommend a 20 mil liner when the crawl space floor has sharp rocks or objects that can’t be moved. Due to this, you want to make sure you get a high quality 20 mil vapor barrier that won’t tear or rip. 20 mil vapor barriers are also recommended for those of you that will have heavy traffic on the liner and heavy storage. For those of you that are looking for a 20 mil crawl space vapor barrier, you’ve likely noticed that there’s a lot of them out there. What are the differences? What makes one better than the next? Does price and quality matter? Today, we’re going to answer all of these so you have a better understanding of what to buy or use if you’re a contractor. 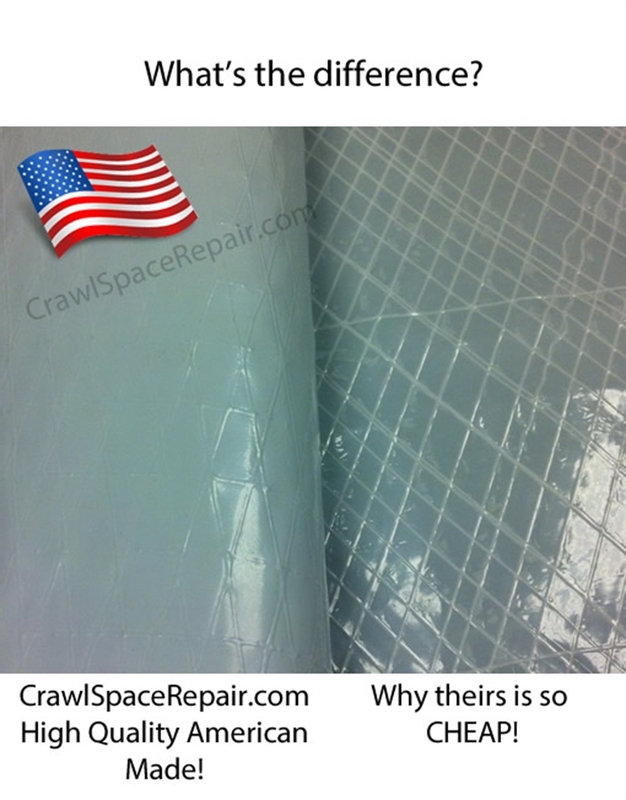 20 Mil Vapor Barrier Differences? When it comes to differences among one vapor barrier to the next, there’s two things that we look at. Number one, product quality. What’s the vapor barrier made of? Does it matter? Absolutely. Number two, “size matters.” Well, if it says 20 mil, it means it’s a 20 mil, right? Well…… Wrong. Truth of the matter, there’s a lot of vapor barriers on the market right now that are NOT an actual 20 mil vapor barrier. It’s sold as a 20 mil, but in all actuality, you’d be paying for a 20 mil but only getting roughly 70 percent of what you pay for. Not cool in my book. What 20 Mil Liner is Really 20 Mil? One of the best 20 mil crawl space vapor barriers on the market is the SilverBack™ 20 Mil Vapor Barrier. If you’d compare other 20 mil vapor barriers to the SilverBack™, you’d clearly see and feel the difference in the liners. The SilverBack™ is the best you can buy. This crawl space vapor barrier holds one of the highest marks in 5 star reviews. One of the main reasons we like it is because the strength of the liner, it’s very strong and it will not tear. The SilverBack™ line is also reinforced with a polyester cord, making it that much stronger. If you use your crawl space for storage or have rough floors, objects in the floors, this vapor barrier is the only way to go. Price is always going to matter, for both contractors and homeowners. However, if you short-change yourself, you could end up with problems on both ends of any deal. While we don’t work with CrawlSpaceRepair.com, we do buy our products from there. We get a good price, but more importantly, we get high quality products. We consider their products the best in the industry, so we think of their work highly. You can see the clear difference. If you held them in your hands (we have) you can also feel the difference. Honestly, it comes down to you making a choice. Do you go cheap or quality? As contractors, we’ve always delivered the highest of service and for reason, every customer we do great for will tell 5 of their friends. However, not all contractors are that way. As homeowners, you have the right to know what your contractor will use. Let them know it. You’re free to buy what you want, but when it comes to 20 mil crawl space vapor barriers and the best of the best, we’ll always recommend the SilverBack™ 20 mil vapor barrier.